All pro series concerts take place in the School of Music’s Lorne Watson Recital Hall. Single tickets for pro series concerts are $15 for adults, $10 for students, seniors and alumni, and free for Conservatory students. Tickets can be purchased in advance in the School of Music Main Office, Queen Elizabeth II Music Building, Brandon University and at the door prior to each performance. 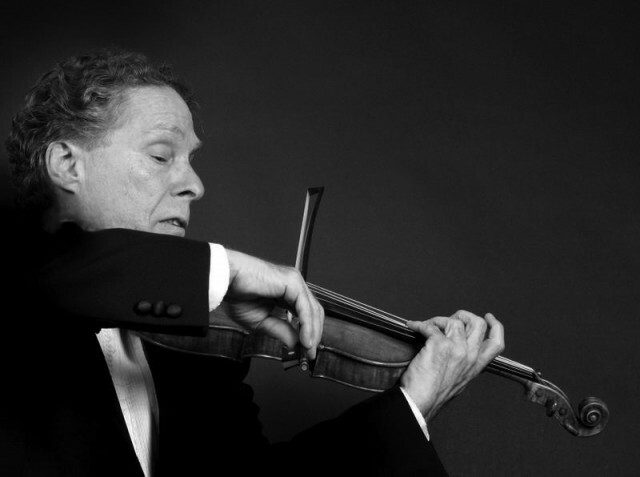 BRANDON, MB – The pro series 2014-2015 season’s penultimate recital will feature violinist and professor Charles Castleman on March 23, 2015 at 8:00 p.m. at Brandon University (BU). He will give an unaccompanied solo recital, in which he will present a programme that will include Bach’s Chaconne, Ysaye’s Ballade and Obsession Solo Sonatas and Piazzolla’s Tango Études. His student, BU School of Music faculty member and violin instructor Kerry Duwors, studied with the famed pedagogue at the Eastman School of Music during her doctoral programme. She will join him on stage for Duo Concertante Op. 67 No. 2 by Spohr. Completed in 1720, the Chaconne begins with a simple, compelling melody which Bach then transformed into a multitude of innovative, equally captivating and technically challenging mutations. Inspired by some of the greatest violinists of his time, Ysaye created six sonatas during the summer of 1923. The second, which is dedicated to violinist Jacques Thibaud, opens with a prelude named Obsession, while the third, dedicated to violinist and composer Georges Enescu, opens with ballades. Also challenging are Piazzolla’s Tango Études, which he wrote in 1987. These weave classical influences with piquant elements of the tango. Rounding out the programme is the Duo of 1824 by Spohr – a German violinist as well as conductor. It is a study of contrasts – light and carefree one moment and dramatic and exciting the next. The School of Music gratefully acknowledges the generous support of the Province of Manitoba, through a Consolidated Arts Programming Grant from Culture, Heritage and Tourism.